By now, you may have already heard of Ripple, the new decentralized cryptocurrency project that has been making waves (pun intended) in the Bitcoin community. While Bitcoin allows anyone to hold, send and receive bitcoins over a decentralized network to and from anywhere in the world with extremely low fees, Ripple seeks to allow anyone to do the same thing with any other currency as well. In order to get started with Ripple, you will first need to open a Ripple wallet. 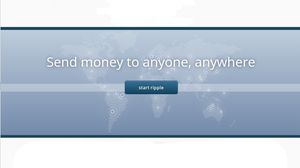 Just like Bitcoin in 2009, there is currently only one Ripple client available, the official one at ripple.com, although it is much more powerful and much easier to use than BitcoinQt – the client is a web interface, no software downloads required. 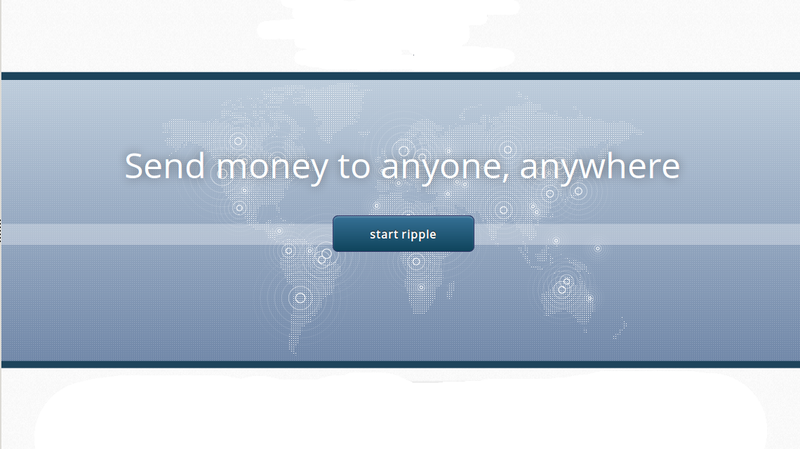 The process is as simple as creating an account at any other website; simply click “Start ripple” followed by “Create an account” and go from there. Once you have an account, the next step is to activate it. Unlike in Bitcoin, you cannot simply create as many Ripple accounts as you want simply by generating new private keys; you also need to make an initial deposit of 50 XRP, Ripple’s internal currency, in order for the account to become usable. At this point, there are two ways to get this initial deposit. First, OpenCoin sometimes makes free XRP giveaways, handing out generous quantities of XRP to as many people as it can reach. For now, the company is targeting the Bitcoin community, and so its first major giveaway required users to post in a forum thread on [Bitcointalk](http://bitcointalk.org), a popular Bitcoin forum. Later on, giveaways based on Facebook accounts and cell phone numbers are both likely to take place. If you are not lucky enough to spot a giveaway, or too impatient to wait for one, you can find someone else to buy XRP from. The largest Ripple communities right now are at https://ripple.com/forum/ and http://reddit.com/r/ripplers; if you have BTC to trade, you can easily find someone to give XRP in exchange. If you want to buy more XRP later there is also a “decentralized exchange” inside of Ripple that allows you to exchange any other currency within the Ripple system for XRP, but it requires you to already have 50 XRP in your account to use. The process for sending and receiving in Ripple is the same as with Bitcoin; in the “Receive” tab of the Ripple wallet, the interface provides you with a Ripple address, which looks exactly like a Bitcoin address with the exception of starting with an “r” instead of a “1”. To send a payment to someone, you simply enter their address, the currency and the amount you wish to send in the “Send” tab. The process can be used to send any currency that you have in your Ripple account, although if you and the recipient are not linked through a chain of trust the only currency that you will be able to convert is XRP. Once your account is loaded with at least 50 XRP, you will likely want to get some money in other currencies (eg. BTC or USD) into your account. In order to do this, you will need to open an account at a gateway. There are two options for gateways so far: WeExchange and BitStamp. The process with WeExchange works as follows. First, sign up and create a WeExchange account. Login to WeExchange and go to Funds -> Add Funds -> BTC to get a Bitcoin address that you can deposit your bitcoin to (fiat currencies can be deposited too but, as usual, Bitcoin is by far the easiest). Once WeExchange confirms your deposit, go to Funds -> Withdraw Funds -> Ripple. At the bottom of the page, you will see a list of addresses you can trust. Open your Ripple wallet and go to the “Advanced” tab. Click “Trust”, and add the BTC address to your trust list, entering a trust amount at least as large as what you are depositing. This creates a credit line between you and WeExchange that allows WeExchange to send you BTC – or, more precisely, an IOU for BTC, through the Ripple network. Then go to the “Receive” tab and copy your Ripple address. Back in WeExchange, select “BTC” as the withdraw currency, enter the deposit amount and paste in your Ripple address. And, there you go, you have BTC in your Ripple account. In order to convert the BTC into another currency, once again in Ripple go to the “Advanced” tab and click “Trade”. At the top of the trade interface, select the “BTC/XRP” option if it is not selected already, and click on “change issuer”. Copy in the same Ripple address that you entered into your trust list to set WeExchange as the currency issuer for BTC. Then, through the trade interface, sell your BTC for the other currency just like you would trade BTC for fiat currency at an exchange like MtGox or BitStamp. Unless you decided to make an offer above the current “bid” price in an attempt to secure for yourself a better deal, the trade should process quickly and, voila, you have the currency of your choice. As for where you can spend your Ripple funds, so far there is only one merchant accepting Ripple for payment: Private Internet Access. Private Internet Access currently only takes XRP – no Ripple USD or BTC transfers yet, and the XRP payment option is, for now, fairly expensive compared to the USD or BTC price of $39.95 per year since XRP does not yet have a clear market price. Note that when Private Internet Access provides the address for you to send the XRP, the address that it gives includes a numerical token at the end – something like r9EUYx41zx3audeARUwpkDF7VuwcmbwYTU?dt=2399767994. Make sure to include the full address, with the token, when making your payment – the token is included in the Ripple transaction, and tells Private Internet Access which order the payment is for. Hopefully, soon more merchants will start accepting Ripple for payment, and even before that happens there is always the option of buying goods or labor over-the-counter on https://ripple.com/forum/ or http://reddit.com/r/ripplers. For now, good luck exploring the latest and greatest that cryptocurrency has to offer!